WOW... WOW! Is all I can say. I am the lucky seller that had the great fortune of finding Carol Augustus. She not only is a fantastic and competent real estate agent specializing in the high end market but she has extraordinary talents in getting a house ready for market. She choreographed a rehab project that netted me more money than I could imagine. Carol and her team are extremely professional and I highly recommend her. Thank you Carol. Thank you so much!! I have worked with multiple real estate agents over the past 30 years assisting me in multiple transactions. Carol Augustus is the by far the best agent I have encountered. I have done my past three transactions with her. I wouldn’t think of doing another transaction without her. She goes above and beyond the call of duty. Platinum stars all around!! I have used Carol on several investment properties and we couldn't be happier with her. Not only does she excel at the nuances of real estate, she goes above and beyond what would be exceptional client relations! She has vast experience as an investor, home remodels and staging which was invaluable in guiding us through some difficult processes. I can't begin to tell you how much we value Carol and how much her due diligence and attention to detail helped us get multiple offers above asking, in which we settled on an amazing price that we were ecstatic about. Carol would have been a bargain at twice her commission. My business partners and I always look forward to working with Carol on our projects. I recently sold my house and credit the quick and successful sale to one person, Carol Augustus. I chose Carol after observing her work upgrading and staging a house down the street that was on the market 8 days before it sold. She is tireless, devoted, and has an eye for what people are looking for and will sell a house. I was amazed at how hard she worked for me. She always kept me up to date, involved with everything that was happening and confident that all aspects were being covered. I am absolutely sure that she is the best and was lucky because I also feel that she became a friend that I will always value. If Carol is your agent you are truly blessed. Carol is absolutely amazing! She is a wonderfully savvy seasonal professional. Her extreme capabilities of multitasking and expediting right down to the fine minutia exceeded all my expectations! Time was of the essence due to the complexity of this transaction and Carol was with me every step of the way answering all my calls, email and text message. Truly incredible! Having been a real estate investor for over 40 years I highly recommend Carol Augustus for anybody considering a real estate transaction. Dear Carol, I wanted to take this opportunity to tell you how much our family appreciated your tremendous efforts concerning the sale of Mom's home. You guided my brother, sister, and I through the sale process with expertise and compassion. In retrospect, your experience in staging a home for sale proved particularly valuable. Not only were you able to assemble the right team to get Mom's place ready for the market, you also managed this process. No matter what the task, you made it happen, which made my life much easier. This type of full service is not the norm in my experience and I want to complement you for the work that you did in our behalf. Your excellent knowledge of the market also proved correct as our condo was the first of four units to sell, in a challenging market - setting the price for the other units. Given the headlines, and the volatile nature of the real estate market, we felt very fortunate to sell the unit at a good price and in a timely fashion. Finally, I wish you all the best Thanks Again.” I want you to know that I would be glad to serve as a reference for you. I would recommend you to anyone seeking help with a real estate transaction. Carol was helpful in helping me purchase a home in Tiburon for my family. The transaction was not a simple one, as it was a life estate purchase and yet it was closed in a little over 2 weeks. She worked with excellence and diligence with attorneys and me and was responsive to every request and question that I had. In addition, Carol was pleasant to work with during the entire process. Even after the close, Carol made herself available to assist with any other items that came up. I would certainly recommend Carol as a highly competent, professional and compassionate realtor. I would retain her services in the future. I want to give my highest recommendation to Realtor Carol Augustus who recently served as our listing agent for the sale of our home in Tiburon. The home sold the first week for full price. Carol suggested we hire various contractors to assess the condition of the house, make the repairs necessary and improve the house in a strategic way to have the house appeal to the most buyers and add maximum value to the house. With her extensive experience in interior design and construction project management the house was transformed in 6 weeks including a new kitchen, wood floors, paint inside and out, and beautifully staged. None of this could have been completed without Carol. Carol also knows how to price a house, market extensively and negotiate the sales contract with excellence. She knew how to represent me strategically and negotiate the contract with our buyer to ensure there were no surprises and that the deal would close. I wholeheartedly recommend Carol to represent both sellers and buyers in any real estate transaction. I just purchased a new home with Carol Augustus. I have purchased 6 pieces of property and three homes in my life, and I can say that Carol stands apart in the world of realtors. She has all the skills and knowledge of real estate, but brings so much more to the transaction. She has good taste and can really hone in on what the client wants. She will not waste your time. She also knows the other agents and can get the deal done. I purchased a trust estate home. I would not have endeavored into a project like that with another agent who didn’t have the skill set that Carol has. Carol was very professional and helped me source excellent contractors and sub-contractors, who worked at the highest standards for the best price. She also has helped me months after the transaction with design decisions and decisions regarding the remodel of this house. She has helped me save time, money and avoid mistakes I might have made had I not had such an amazing resource who was happy to help me throughout this process. I felt held though the whole process and I know I can call on Carol months and years later and she will be there for me with a smile on her face. Carol and Eddie captured our hearts. They are not only the best realtors, best kept secret you may discover in California, but also such precious, lovely, rare and radiant beings. We bought a beautiful hacienda from them in San Anselmo in November 2013. My husband and I fell in love with both of them that we decided to hire them for selling our home in the market. They excelled our expectations on every levels, and beyond. My intuition never fails me. I felt compelled to hire this team of spirited beings. It was so delightful working with both of them. Michael and I are forever grateful to Carol and Eddie for the smooth and joyful transitional process. We could not have done it without them. Infinite gratitude overflows from our hearts for all the marvelous gifts, and for our wonderful friendship. We have absolutely loved working with Carol!! After months and months of patiently helping us navigate the crazy Marin market, we finally found our dream home. Carol became not only my realtor but my partner in crime….always getting me get in to see listings before the open houses so we had the time and space to take it in without a crowd. She was always willing to meet me (and my three kids!) to walk through and spend time talking about what we could do to improve the property often bringing a contractor as well to talk through potential costs and issues so we could really understand what we were getting in to. She took the time to read disclosures and point out things that might be issues and things she wasn’t concerned with. AMAZING! We were able to make an incredibly educated offer and won a highly sought after home! And that’s not all! She is extremely well versed in remodeling costs, vendors of all kinds and design choices. When we closed she was still there texting and emailing me about when I wanted to pick out tile, see some lights or meet with paint and floor vendors she had set up for me. What realtor does that?? Carol does!! She’s the BEST! Carol and Eddie did an excellent job of selling my house and were a joy to work with! Carol was impeccable with her choices about how to fix up the house and what would look good in the neighborhood.. She is top notch! The real test of the situation was a week before the house was about to be on the market everything went wrong that could of: we found out there was a crack in the foundation, it was just rezoned by FEMA in a flood zone and many other various snafus arose. Carol was calm and pleasant to work with in the midst of the storm and helped me get through the worst of it. Not only are Carol and Eddie wonderful people but they are hard workers which make the daunting task of selling or buying a home a most pleasant experience. I highly recommend them! Carol is an amazing realtor and a force of nature! She led us through the entire process of assessing, renovating, listing, staging and selling my father's house after his untimely passing. She did literally all the work of coordinating with contractors, the city and county and fixing all the little (and not so little) problems that came up along the way. She is the reason the house went for so much over our asking price, and very quickly. I cannot recommend her enough. I feel so fortunate to have had Carol Augustus as my listing agent. Carol is not only highly accomplished in the real estate profession, but she embodies great warmth, humor and a rare wisdom such that her clients experience confidence and great success in the transaction. And, as a special bonus, with Carol as your agent, you also get the benefit of Eddie’s assistance, her charming and knowledgeable husband who is also a realtor! Our home sale was not at all typical a very complex sale. Carol was fantastic to work with through all facets of the transaction. She had a unique understanding of the local market and the ideal positioning of our property to that market to maximize value. Carol’s follow through was always prompt and direct… she was scrupulous in every detail that was needed quickly close a challenging sale. We would not hesitate to work with Carol again and highly recommend her services. Carol was absolutely amazing during my home search and closing process. She was always there to answer questions and provided whatever information and guidance was necessary. Without Carol's expertise, I don't believe I would be in my home right now. The Bay Area real estate market is extremely competitive and one needs someone who knows the market inside and out and will go the extra mile to help their client get their dream home. The next time I purchase a home, Carol will be the first and only person I would call. My wife and I began working with Carol 2 years ago, and she has renewed our faith in Marin County real estate professionals! Carol combines deep expertise in all aspects of home selling and buying, while providing honest, transparent advice and recommendations throughout a transaction. Carol has also been immensely helpful in getting our house ready for market. 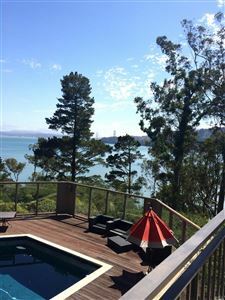 There are only a handful of agents in Marin worth reaching out to, and Carol is on the top of! that list. Working with Carol was a joy. She is a great listener. She has a creative eye and sees possibilities for how to shape a house into something more than its current state. She has great resources for getting your house ready to market - painters, roofers, etc. I highly recommend Carol as a realtor and a professional who cares about finding the right place for you. Carol is fantastic to work with. She is extremely responsive and worked tirelessly to find us the perfect home. She is very knowledgable and I always felt I was in the best hands. I couldn't recommended her more highly! Loved working with Carol. She sold our home in Mill Valley quickly and provided all the help we needed to close on our condo in Mill Valley. I consider her an exceptional professional. I wanted to move from Pacific Heights to Sausalito. I went to many open houses and finally met Carol Augustus . She sat down with me and told me in detail the entire history of this house and why it would be great for me: very close to the city ,beautiful bay view, 2 car garage, f riendly neighbors, great foundation. in short, everything i wanted. She told me the only problem was back taxes.I lowered my offer and the tax collector and the seller worked out the taxes. So, with my patience and Carol's persistence and negotiating skills, I got a great deal. Carol was always on time, called me right back and was very professional. She is the best! Carol Augustus is amazing. She helped me sell my home very quickly and way above list price. She recommended some strategic updates that made all the difference - she really has an incredible eye for design and staging. I can’t thank her enough for all her involvement in the renovation and the way she guided me through the entire selling process. She made it feel easy. A great communicator, detailed, tireless, fun, and simply a great person to work with. Don’t consider anyone else!